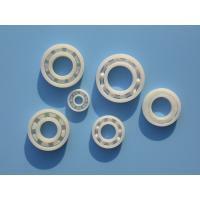 As the typical type of fluoroplastic, PTFE have the most excellent anti-corrosion performance, Among them PTFE has the best anti-corrosion performance of all the engineering-plastics known to man, PTFE Corrosion Resisting Plastic Bearings could be used in all the Strong Acid and Alkali application, including HF and smoke formation H2SO4 HNO3 or HCL (98% above) etc., and PTFE Corrosion Resisting Plastic Bearings could be used in high temperature application. 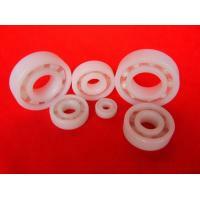 The Density of PTFE plastic bearings is 2.18 g/cm3, Sliding friction coefficient is 0.09-0.10, Short-time highest application temperature is 260℃. 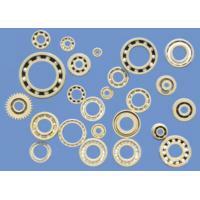 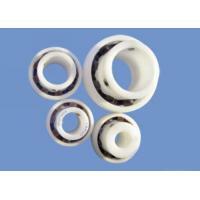 Generally the rings and cage were made with PTFE or PVDF, Balls were made with glass, ceramic or stainless. 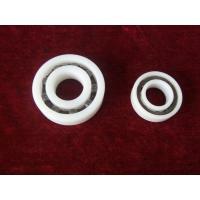 PTFE could be used in 180℃. 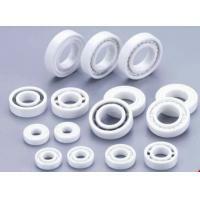 But PTFE has very low mechanical strength, easy to be out of shape and have large Dimension change when the temperature rise or reduce. 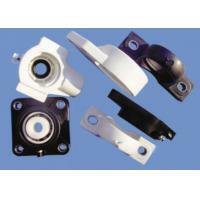 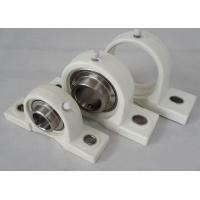 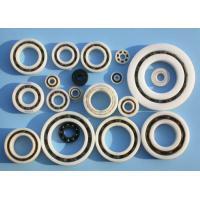 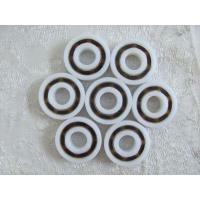 So PTFE Corrosion Resisting Plastic Bearings couldn't be used in heavy load and high-speed occasion.